In a statement, SpaceX said it was now planning to build prototypes of its Starship vehicle, the upper stage of its next-generation reusable launch system, at its site in South Texas originally designed to serve as a launch site. An initial prototype version of that vehicle has been taking shape in recent weeks at the site in advance of “hopper” tests that could begin in the next one to two months. “To streamline operations, SpaceX is developing and will test the Starship test vehicle at our site in South Texas,” company spokesperson Eva Behrend said in an emailed statement. The news was first reported by the Los Angeles Times after a pair of tweets early Jan. 16 from Joe Buscaino, a member of the Los Angeles City Council whose district includes the Port of Los Angeles. “While I feel crushed about #SpaceX pulling the #SuperHeavy out of the @PortofLA, I feel confident that other innovators will see the huge value they get in San Pedro,” he wrote. Super Heavy is the name SpaceX recently gave to the lower stage of the overall launch system that previously had the formal name of Big Falcon Rocket, or BFR. The upper stage was renamed Starship. In May, the council approved unanimously an agreement between the port and SpaceX to lease vacant property at the port where SpaceX planned to construct a factory for what was then still called the BFR. 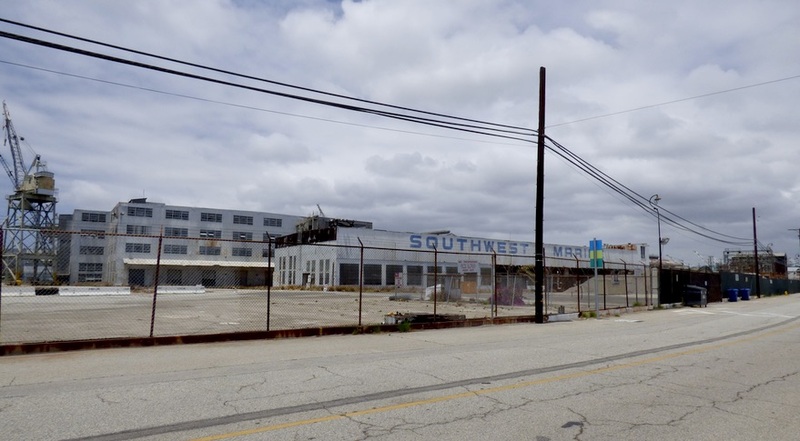 SpaceX sought to build the vehicle at the port, rather than its existing factory in nearby Hawthorne, California, because the vehicle’s large diameter — nine meters — required that it be transported by ship rather than by truck. “It will be conducting production and development on the largest rocketship ever known, the Big Falcon Rocket,” he said at the hearing. “Colleagues, with your approval, for our city, this will be a Big Falcon Deal.” The council approved the lease agreement without additional debate. SpaceX didn’t go into details at the time about the size of the layoffs, beyond estimates form company sources that about 10 percent of the more than 6,000 SpaceX employees were losing their jobs. However, in a Jan. 11 filing with California’s Employment Development Department, provided to SpaceNews after a public records request, the company revealed that it was laying off 577 people at its Hawthorne facility alone, a figure first reported by Bloomberg.